Inscribed: Bottom: Morning Signed by George Inness. Engraved on wood by E. Kingsley - 1889; signed: Geo. 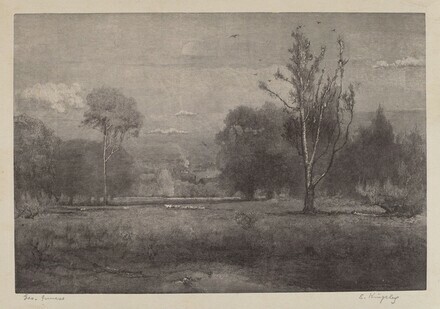 Inness in pencil, lower left; E. Kingsley in pencil, lower right.